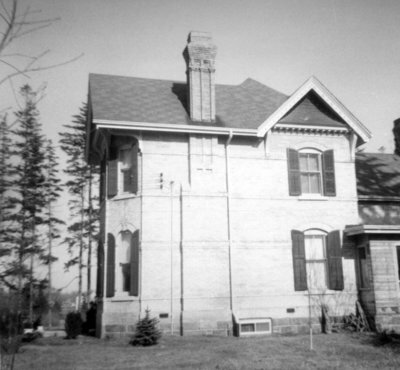 A black and white photograph of 1011 Dundas St. W. (lot 32, concession 1). View is of the side of the house. John Joshua Fothergill House, April 6, 1969, Brian Winter. Whitby Archives, A2013_004_262.